The Bluetooth SIG (Special Interest Group) has its focus on “Internet of Things” market, which has been proven with the release of Bluetooth 5.0, the enhanced version of Bluetooth 4.0. Newly launched Bluetooth 5 guarantees four times the range, twice the speed and eight times more broadcasting messaging capacity compared to the current standard Bluetooth. Very soon it will start showing up on devices and improve the functionality and synchronization with other wireless technologies. With the improved speed and range, Bluetooth 5 has the potential of fulfilling the emerging requirements of IoT manufacturers and consumers. It can now support speed up to 2 megabits per second and cover the range of entire floor of building, thus providing undisrupted and secure connectivity across BLE enabled devices. The applications or use cases which seemed to be impossible in the past can turn out to be feasible due to the increased speed and improved range leveraged by Bluetooth 5. It has the capability to power IoT solutions targeting future applications demanding larger range, high speed and enhanced security in the devices. For instance, its high speed would help next generation Bluetooth enabled audio devices to provide enhanced features and the improved range would enable smart home devices to provide facilities never thought of in the past. It has been estimated that by 2020, 13.9 billion wireless products would be shipped. Out of which one-third of wireless products would support Bluetooth technology. Also, 2 out of 3 consumers would prefer to use Bluetooth powered devices. Bluetooth is one of its kind in entire universe, as no other wireless technology can overcome the connectivity challenges the way it does. It includes updates which reduces the possible interference of other wireless technologies and provides non-disruptive connectivity between Bluetooth enabled devices in this complex global IoT environment. Bluetooth 5 can overcome certain challenges like speed, range and connectivity. It is transforming the way beacons connect and communicate with each other. 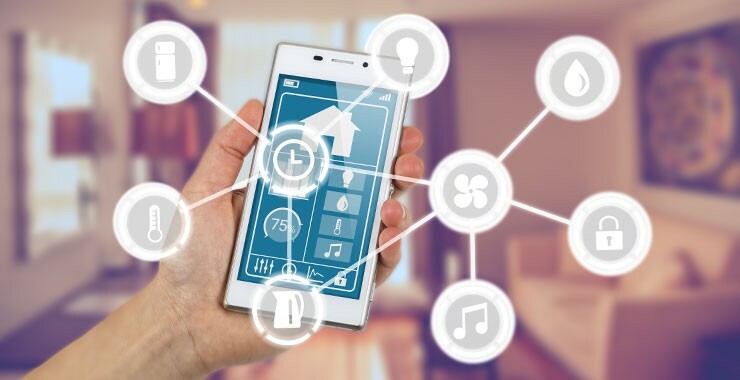 With better location awareness and smarter technology, it empowers IoT devices being used for smart homes and industrial automation. Increased speed in transferring the data and improved broadcast message size has enabled the evolution of highly functional devices and applications facilitating users with advanced features and functionalities. Samsung has already launched Bluetooth 5 compatible phone i.e. Samsung Galaxy S8. Many more devices with Bluetooth 5 are expected to be launched this year. Though, no software update is required as it will continue to be backward compatible. For example, you will be able to use your devices supporting Bluetooth 4.0 with your Bluetooth 5.0 enabled Smart Phone. The developers and consumers now have many reasons to look forward to what Bluetooth 5 brings to Internet of Things.